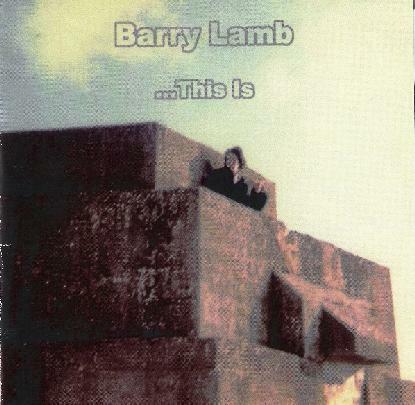 Barry Lamb - "…This is"
Barry Lamb utilizes an interesting assortment of instrumentation on this CD and does so to interesting and enjoyable effect. The credits include wind synth, alto sax, guitar, percussion and various electronics and synths. Among the highlights is the title track, which is a dreamy and spacey, but also bouncy and playful melodic piece. I like the combination of bubbling synths, off-kilter rhythms and experimental elements. A simple melodic tune with lots going on around it. The appropriately titled "The Journey" is an avant-space atmospheric piece that is simultaneously meditative and intense… image inducing and highly thematic with both deep space and experimental elements. "The Arrogance of the West" gets more into avant-garde territory with free-wheeling sax alongside oddball rhythmic pulses, electronics and other assorted sound bits. This leads directly into "The Bitterness of the East", which consists of multi-layered drones and noise bits, but also additional electronics to break up the monotony. The last tracks make up the 15 minute, three part "A Man Reaps What He Sows", which features robotic electro rhythms, chanting, and dark catacomb styled church organ. I really dig all these crazy combinations. After a few minutes it transitions to a windswept planet surface type atmospheric segment. But the part 3 finale is one of the most uplifting pieces of music on the album, having a majestic semi-orchestral feel, though of course Barry quickly throws additional ingredients into the mix. Overall a very interesting set of music. Barry excels at bringing together multiple, seemingly unrelated elements, that somehow seem to work very nicely in combination with one another. For more information and to hear music you can visit the Barry Lamb Myspace page at: http://www.myspace.com/barrylamb.